OLD PARKED CARS. 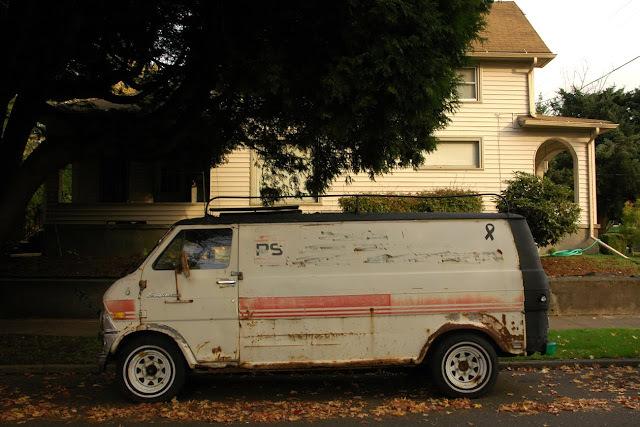 : 1969 Ford Econoline Super Van. 1969 Ford Econoline Super Van. See this OPC in the background? I just found out it's for sale at a very tempting price. WOW, this one has seen better days. lotta Jerry-rigging going on there. still a very cool van, my favorite gen of econoline. I wonder what company this van was used by in it's heyday? also, I spy in the background of the first pic what seems to be a datsun 210 painted with what looks like the BRE datsun livery. 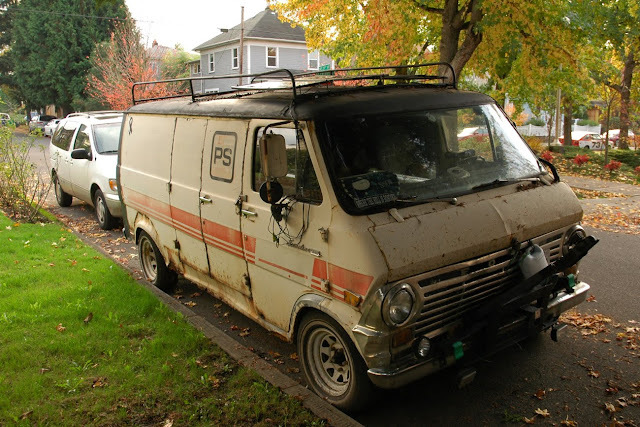 great shots of a weathered but still cool van. I dig the pad lock for the hood. 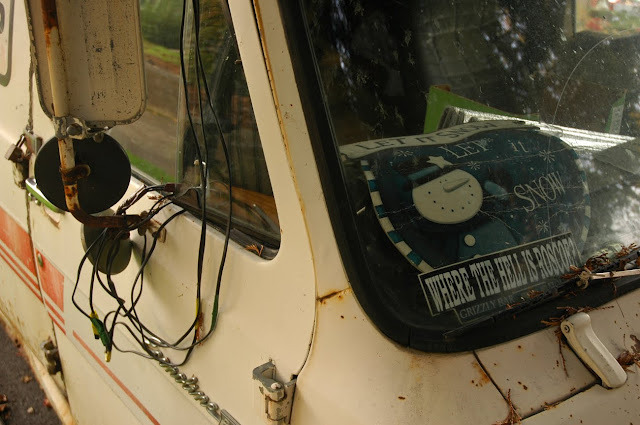 I can't help but think that the panel on the top that has the wires connected to it is some kind if solar panel, so many questions about this van, it makes my mind wonder the possibilities. has come up the coast from San Diego. The black primer is really shaping-up too. The driver of this vehicle is undoubtedly an interesting person. I'd like to know some of the stories. 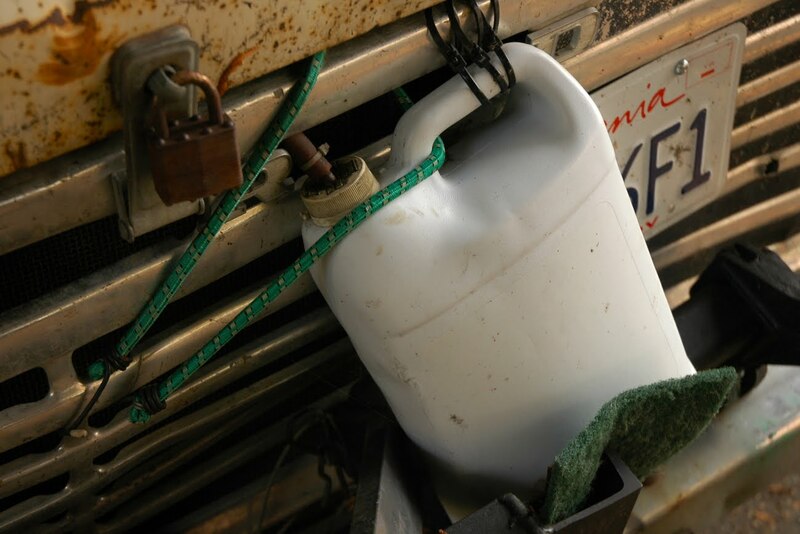 My guess is that the driver used this to plow snow,(the bracket thing in the front) has that bottle for anti-freeze(cannot find the bottle)and has used it for moving, or that the way he bought it. Abdullah(what a surprise) is a spammer. That Econoline has a hell of a lot of personality. Imagine the stories it could tell? Love the faded 70's pinstripe graphics. This thing probably steals cable TV. Wasn't that the van driven by those evil clowns who snatched kids in the early 80s?? 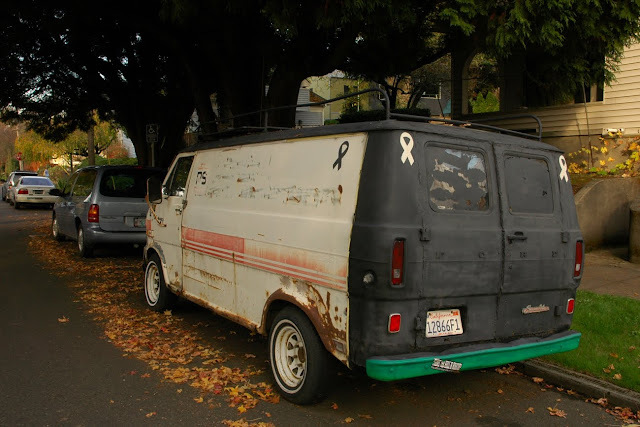 What a creepy molester van.